When choosing a new insurance agent, 61.7 percent of customers said reviews are influential or highly influential. 4 out of 10 insurance customers read and base their buying decisions on online reviews. Asking for reviews results in higher star ratings (4.3 stars) than organic reviews (3.9 stars). Our annual online review and local search survey found that 61.7 percent of consumers rated reviews as one of the most influential factors when choosing a local insurance agent. Consumers actually said that online reviews for insurance agents were more important than for restaurants or local banks. ReviewTrackers provides visibility into all of your agents and brokerages by helping you find hidden issues at branches, the claims process, or other areas of the customer life cycle. Google prioritizes brands with high online ratings in local search results. In fact, the importance of review signals in online local search results increased almost 22 percent from 2015 to 2017. Online reviews are a valuable source of real-time, candid customer feedback for insurance agents. 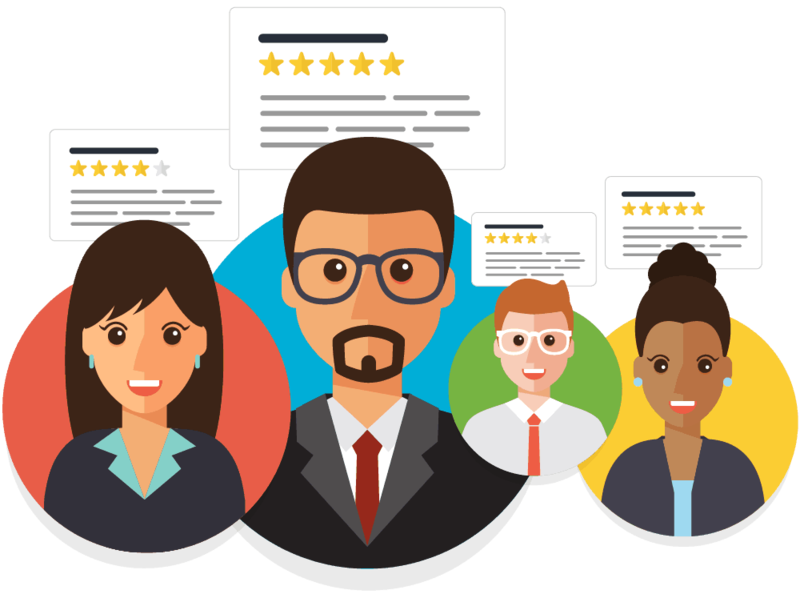 ReviewTrackers measures client satisfaction, monitors online reviews and feedback, and helps insurance organizations improve the quality of customer relationships.